The Carhartt Storm glove features a durable, all purpose polytex with softshell trim and reinforced PU palm. The ultrasoft insulation is microfiber. 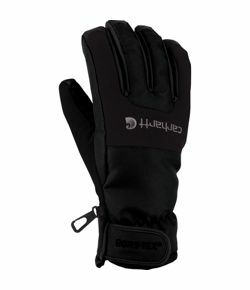 The glove is Gore Tex Guaranteed to keep you dry and is waterproof and windproof.